Former chief minister of Gujarat Keshubhai Patel, an octogenarian veteran politician, is the founder of Gujarat Parivartan Party (GPP) and is better known as bête noire of Narendra Modi. Keshubhai Patel, 84, belongs to the Patel community deemed to be significant for playing an important role in Gujarat elections. He served as Gujarat CM from March 1995 to October 1995 and from March 1998 to October 2001. Patel had been one of the prominent faces of the Bharatiya Janata Party in Gujarat until 2001, when his party was defeated in two key by-elections. This paved the way for unseating of Patel from Gujarat CM’s post and arrival of Narendra Modi as the new man at the helm of affairs in Gujarat. Dejected after losing CM’s chair, Keshubhai Patel’s troubles mounted in the 2007 Gujarat Assembly Elections when Narendra Modi emerged victorious in Patel’s stronghold of Saurashtra. In spite of the fact that Patel had campaigned vigorously urging people to vote for a change, people had preferred the BJP and voted for Modi. Also, Patel had been served showcause notice by his own party for anti-party activities to which he hasn’t replied yet. 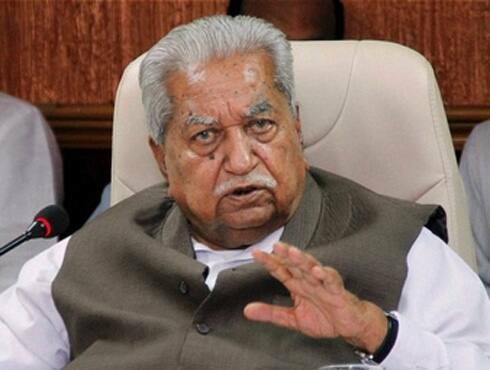 Keshubhai Patel left BJP on 4th August 2012 and floated his own outfit, named Gujarat Parivartan Party (GPP). He has already announced the first list of 63 candidates for the first phase of Gujarat Assembly Elections 2012. Hell-bent on defeating Modi in the upcoming Assembly Elections in December, Keshubhai has filed his nomination papers from Visavadar constituency in Rajkot district. - Supriya Jha" title="Former chief minister of Gujarat Keshubhai Patel, an octogenarian veteran politician, is the founder of Gujarat Parivartan Party (GPP) and is better known as bête noire of Narendra Modi. Narendra Damodardas Modi is one politician who will go down in the annals of Indian history as someone who evoked extreme reactions. Born on 17 September 1950, the current Chief Minister of Gujarat is often said to be a man who has the ability to polarize the society like no other. On the other hand, he is also referred to as a visionary, a relentless worker and a man with impeccable personal integrity. Born in a middle-class family in Vadnagar in Mehsana district, Modi is the third of six children of Damodardas Mulchand Modi and Heeraben and holds a Master`s degree in political science from Gujarat University. For a man who as a teenager used to run a tea stall with his brother, Narendra Modi has surely come a long way. 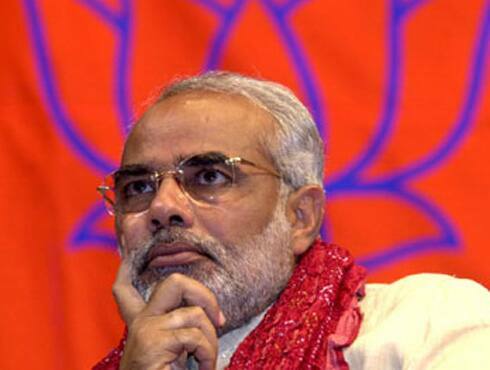 Narendra Modi along with Shankersinh Vaghela is credited with creating a strong cadre base in Gujarat. He was a RSS pracharak during his university years. While Vaghela was regarded as a mass leader, Modi was recognized as a master strategist. The Vaghela-Modi partnership fell apart a few months after the BJP came to power on its own in Gujarat in 1995. During this period, Modi was given the responsibility to organize two important events - the Somnath to Ayodhya Rath Yatra of LK Advani and another march from Kanyakumari to Kashmir. In 1995, Modi was appointed the national secretary of BJP and given the charge of five states. In 1998, he was promoted as the general secretary (organization) and moved to the bigger circuit when he was chosen by LK Advani to manage party’s election campaign in Gujarat and Himachal Pradesh. However, his real big moment was when he became the Chief Minister of Gujarat in October 2001 following Keshubhai Patel’s resignation after the BJP was defeated in the by-elections. Narendra Modi had arrived and there has been no looking back since then. He rode back to power in 2002 - months after the communal riots - with a thumping majority with the BJP winning 127 seats in the 182 member Assembly. He was re-elected for a third term in December 2007 – an election which he had dubbed as “referendum on his rule”. But the ghost of 2002 riots has followed him for years now and has been the biggest thorn in his much anticipated transition to national politics. Modi has been accused of asking the state machinery to go slow on the rioters post the burning of S-6 coach of Sabarmati train at Godhra. Nonetheless, he has time and again refuted all allegations and also steadfastly refused to apologize for the Gujarat riots. In an interview on 26 July 2012 to Shahid Siddiqui, editor of ‘Nai Duniya’, he said that if found guilty of collusion in the 2002 riots he should be hanged, otherwise baseless allegations against him should stop. Modi got a relief of sorts in December 2010 when a Supreme Court-appointed Special Investigation Team in its report pertaining to Ehsan Jafri case, submitted that they had found no evidence against him. A much relieved Modi had tweeted then – ‘God is great’. Clearly, the man who has been at the helm of Gujarat for more than a decade and has repeatedly said that his only aim is to serve six crore Gujaratis, has had a roller coaster ride in politics. Modi knows that these elections are crucial for him if he wants to leapfrog into national politics. In an effort to go for an image makeover, he underwent a series of fasts as part of the Sadbhavna Mission during the fag end of 2011 and early 2012. He is also active on Twitter, is a regular blogger and has now introduced 3D campaigning – all as part of his endeavour to reach out to as many as possible. If Narendra Modi manages to lead his party to victory in the 2012 Assembly Elections then his transition to national politics may become easier and smooth. With the Congress being plagued by a host of scams that has dented its popularity, who knows, come 2014 and we may just see Modi occupying the highest executive office in the country – of the Prime Minister of India. - Manisha Singh" title="Narendra Damodardas Modi is one politician who will go down in the annals of Indian history as someone who evoked extreme reactions. Born on 17 September 1950, the current Chief Minister of Gujarat is often said to be a man who has the ability to polarize the society like no other. On the other hand, he is also referred to as a visionary, a relentless worker and a man with impeccable personal integrity. Twitter page of Arjun Modhwadia describes him as an MLA from Porbandar and current president of Gujarat Pradesh Congress Committee. Also inscribed on the left side of his Twitter profile are these words - “To save my land from the clutches of tyrants is the only motivation. I have to keep going on”. 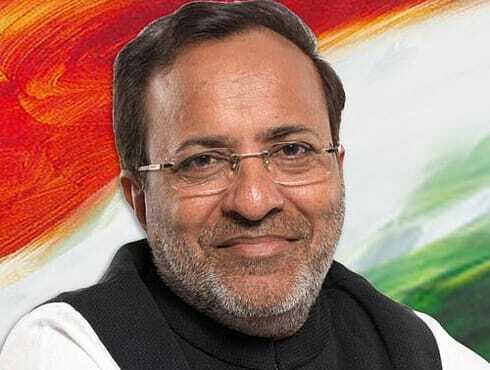 Arjun Modhwadia, the face of Congress in Gujarat, is the 27th president of Gujarat Pradesh Congress Committee, elected to the post on March 2, 2011. He was in news recently for his uninhibited tirade against Gujarat Chief Minister Narendra Modi that also included calling him a ‘monkey’. He was also sent a showcause notice by the Election Commission for the same. Arjun Modhwadia, aged 55, hails from a humble background as he was born in a village near Porbandar, named Modhwada on 17 February 1957. Having availed his primary education at a government school of the village, he graduated in engineering from Lukhdhirji Engineering College in Morbi. Modhwadia then entered into the profession of engineering and worked as an assistant engineer with the Gujarat Maritime Board for 10 years. Arjun Modhwadia had started delving in politics from the very days of his university education when he became a senate member of Saurashtra University as a Registered Graduate constituency representative in 1982. Also, in 1988 he became a member of the Executive Council of the University. But the real plunge in politics was taken by Modhwadia when in 2002, he won an Assembly Election. The same year, he also became a member of Delimitation Commission of India for Gujarat (Parliamentary and Assembly constituencies). He was also appointed as a member of the Estimate Committee. Modhwadia landed a big role in 2004 when he became the Leader of Opposition in the Gujarat Legislative Assembly. He remained the man at the helm of Gujarat Pradesh Congress Committee for quite some time. He was re-elected in 2007 and from 2008-09, he was also the chairman of the media committee and chief spokesperson of the GPCC. And on 2 March 2011, he was selected as the president of the GPCC, and continues to retain the post till now. - Supriya Jha" title="Twitter page of Arjun Modhwadia describes him as an MLA from Porbandar and current president of Gujarat Pradesh Congress Committee. Also inscribed on the left side of his Twitter profile are these words - “To save my land from the clutches of tyrants is the only motivation. I have to keep going on”.